2-hour semi-private party with private party room to enjoy food and cake with shared play area. Free Open Play for Guest of Honor to return to play. 2 ½ hour private party with private party room to enjoy food and cake with shared play area. 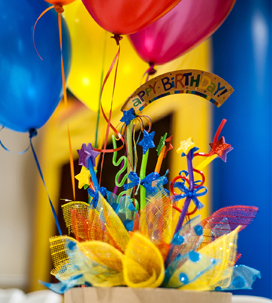 2 ½ hour private party with private party room to enjoy food and cake with exclusive use of play area. We want to be your home away from home. 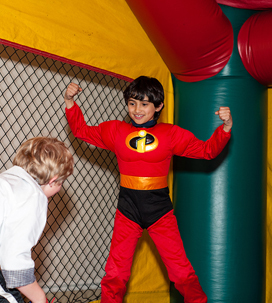 We offer free play times as well as our party packages. 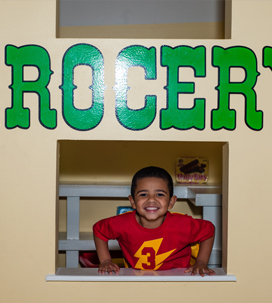 From shopping to dining out we have the playhouse to interest every child and keep them engaged! We have an air hockey table, ping pong table, life size Connect Four, and Interactive Gaming Projector. With all of these games to play, there will never be a dull moment. We can host up to 100 guests in our 6,000 sq. foot event space! 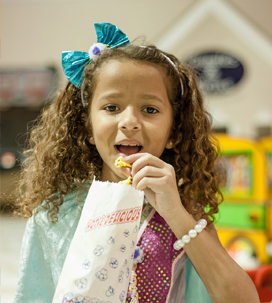 We offer party hosts from beginning to end so the parents can relax and enjoy the fun too! Fun and activity all in one with our Interactive Gaming Projector!